When you first start strength training getting stronger is quick, easy, and simple. But as you continue to gain strength and become an advanced lifter things get a little bit trickier. Attention to detail becomes increasingly important and understanding nuances in programming strategies, exercise selection, training philosophies, etc is essential for your long-term success. To that end, in today’s article I’ve outlined 2 shortsighted lifting mistakes that will hinder your progress and keep you from getting to the next level. Keep in mind, I made both of these lifting mistakes for years on my journey to becoming an Elite level powerlifter. Fortunately, I finally saw the error in my ways and made the necessary changes which allowed my clients and me to get exceptional results. Warm-up sets are meant to [hold for dramatic pause] warm you up before your heavy work sets. But the thing is, many lifters (especially intermediate to early advanced lifters) shoot themselves in the foot by warming up too much. And that’s not a typo. They warm-up too much. If you’re fatigued, tired, out of breath, or burned out before you even start your work sets then you’re excessively warming up. 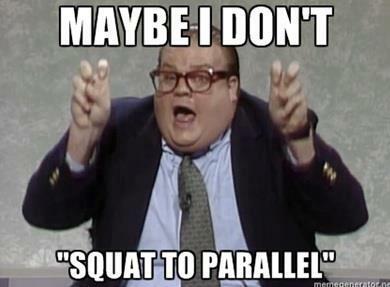 It might sound counterintuitive, but one of the most common mistakes I see among intermediate to early advanced lifters is taking too many warm-up sets as they progress towards their work sets. In theory, taking lot’s of warm-up sets sounds like a smart idea as it gives your mind and body a sufficient amount of time and stimulus to prepare for heavy lifting. But what many lifters fail to realize is that as you get stronger, you can (and need to) take bigger jumps in your warm-ups or else you’re going to accrue so much volume that you’ll burn out before you even start lifting heavy. 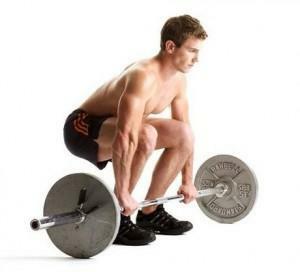 Let’s say we have two lifters, Lifter A and Lifter B, both of whom are working up to Deadlift 315lbs for 3 sets of 5 reps.
Lifter A (left side) takes relatively small jumps and lot’s of warm-up sets while Lifter B (right side) takes bigger jumps and fewer warm-up sets. See the issue with Lifter A? 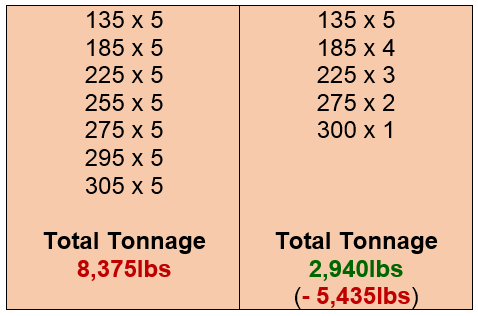 Before they even get to their heavy work sets, they’ve totaled well over 8,000lbs of tonnage while Lifter B barely hit 3,000lbs. That’s a difference of more than 5,000lbs and all before they even started their work sets. Realistically speaking, that’s a ton of extra work and unnecessary fatigue going into their heaviest sets of the day. Remember: while progressively increasing training volume is necessary for improving strength, muscular hypertrophy, and overall performance…excessively warming up to the point where it negatively impacts your maximal strength training is a recipe for failure. So What’s the Best Way to Warm-Up? The goal of your warm-up is to find the sweet spot where you reduce your risk of injury and prime your nervous system for performance but avoid the point where you’re physically and/or mentally fatigued. With that in mind, I prefer to use a descending repetition scheme starting at 5 reps and progressing my way down to 1 rep in conjunction with ~10% increases in weight starting at about 50% of my working weight. 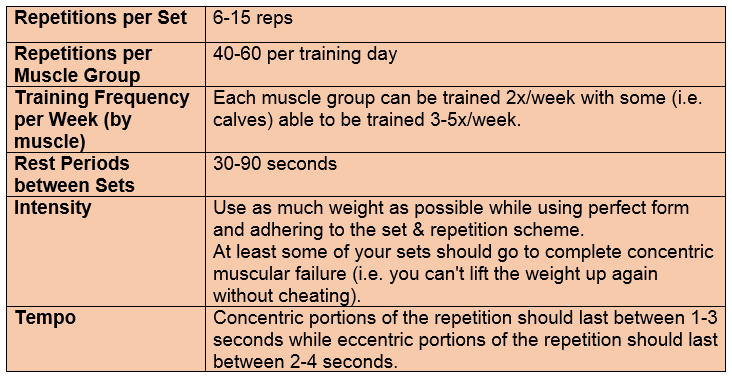 I know that was remarkably confusing so here’s my basic template outlining exactly how to warm-up to your working weight. The best part about this descending repetition scheme is that it facilitates the priming of your nervous system to lift heavier loads without causing excessive fatigue. Of course, individual preferences will cause this schema to vary (some lifters prefer less warm-up sets while others prefer more) but, by and large, this is the exact warm-up template I use for my clients and myself with extraordinary success. For years I thought training for hypertrophy (muscle growth) was a waste of time. “Why increase my muscle size when all I want to do is increase my strength?” I thought. I was wrong. And very short sighted. The reality is a larger muscle has a greater potential to be a stronger muscle. Of course, a small(er) muscle can be stronger but a larger muscle provides a greater opportunity for maximal strength development. 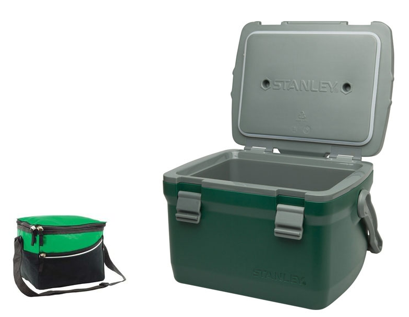 To make this concept a little more concrete, think about packing a lunch box versus packing a cooler. Could you cram a ton of food into a lunch box? Yea, of course. If you’re willing to work for it (and smush all of your food) you could pack an obscene amount of food into a pretty small lunch box if you really wanted. But what about the cooler? Significantly bigger and with much more packing room, you could fit a lot more food into the cooler than the lunch box and even have free space left over. A small(er) muscle is like the lunch box. You can get wicked strong with relatively small muscles but your strength potential will ultimately be limited by your lack of size. Plus, the more strength you gain the harder it will become to get stronger just as it gets increasingly difficult to fit more food into the lunch box as it gets full. The larger muscle, however, is like the cooler. With larger muscle fibers and an increased cross sectional area, you have a much greater potential to increase strength than a smaller muscle just as the cooler has the potential to hold more food than the lunch box. So What’s the Best Way to Train for Hypertrophy? Thanks to research by Dr. Brad Schoenfeld, you and I both know the three primary factors responsible for muscle growth are mechanical tension, metabolic stress, and muscle damage. Using this knowledge, we can come up with simple and straight forward training guidelines that will allow you to develop an effective strategy for increasing muscular hypertrophy. 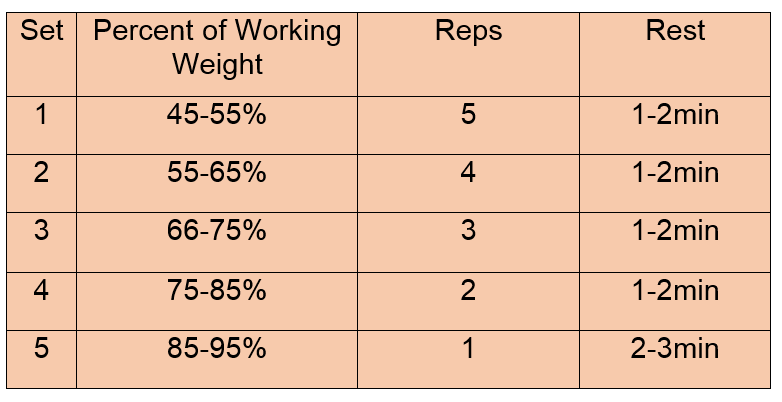 To help you design your own hypertrophy focused program, you can always reference the table below which outlines the fundamental components of effective hypertrophy program design. Just because you want to increase your muscle size doesn’t mean you need to stop training for strength. 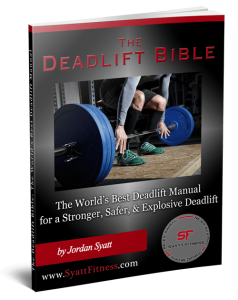 As I covered in The Definitive Guide to Strength Training Program Design, you can (and should) include both strength and hypertrophy work within the same program. Without going into excruciating detail, do your heavy strength training as the first and second exercises of the day and save the hypertrophy work for the tail end of your session so it doesn’t negatively impact your strength. For in-depth programming strategies, you can read this article on strength training program design.